Can you even imagine weddings without flowers? We can’t – sure, we might be subjective here since we’re running a wedding flower business in Austin. Beyond that though, the image of a wedding that’s not embraced by flowers and greenery seems impossible to us – and we’re sure many of you think the same. Of course, when you are planning your Austin wedding, you want to make sure you hire the most talented wedding florist in your area. But how do you really do that? Asking around can really help. Do you have friends that got married recently? Maybe they can recommend to you their wedding florist. If you don’t have friends or relatives that can do this for you, don’t be afraid to Google it. Make sure you read through the reviews attentively and select only the professionals that feel reliable and dedicated. Your style matters. Not all wedding florists are alike – and that’s normal. Some specialize in creating elegant wedding flower arrangements, others are more inclined towards the rustic/chic style. Look at your wedding florist’s portfolio before scheduling a meeting to make sure you’re on the same page in terms of style. Ask your questions. Don’t be afraid to ask any questions you might have. A dedicated wedding vendor (and yes, this includes wedding florists too) prefers a ton of questions and a happy couple to a very brief list of questions and a couple that’s less than 100% satisfied. Ask about your contract and anything else that might be unclear to you! Looking for a fantastic wedding florist in Austin? We’re here for you – and we’re completely unique. 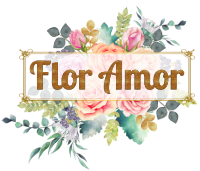 Contact Flor Amor if you want your wedding flowers to be out-of-this-world beautiful. Contact us if you want your wedding flowers to infuse your wedding with originality and beauty. Contact us if you need more than an average wedding florist. Contact us if you need a totally one-of-a-kind wedding florist!